He made this known while donating assorted relief materials to Internally Displaced Persons (IDPs) in Makurdi, Benue State capital yesterday. 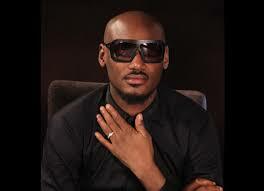 He was accompanied by his wife, Mrs. Ann Idibia and friends. 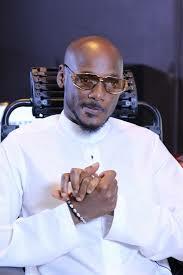 Renowned musician, Innocent Idibia, popularly known as 2Baba, said he is considering holding a big concert to canvass financial and material donation for displaced persons in Makurdi flood disaster. He said his prompt response to the plight of the displaced persons was to let them know that he, his family and friends were solidly behind them. He assured the displaced persons that he would send more relief materials to them to cushion their sufferings. “Although right now we’re only focusing on emergency reliefs for all the thousands of people affected by this natural disaster, that does not mean I won’t hold a concert to seek donation for them if the need arises, but I will wait to see how far our efforts and intervention of government go for some time,” he said. The artist briefly performed to cheer up the forlorn victims. He also donated a midsize truck filled with noodles, rice, yams, sachet water and other essentials for the IDPs. He said more items would be delivered to the camp by Sunday, saying the disaster struck too close to home. Wife of the Benue Governor, Mrs. Eunice Ortom, commended Idibia for coming to the aid of the displaced persons. She said that the state was proud of him for the humanitarian assistance he had been rendering to people across the globe. Meanwhile, following the flood that ravaged communities in Benue State last week, a group of Non-Governmental Organisations (NGOs) have expressed concerns at the slow pace of assistance rendered to more than 100,000 people, mostly women and children, who have been displaced and forced to seek emergency shelters and basic supplies. As a result of the floods, large portion of farmlands and food storage facilities have been washed away in the last one week in at least 12 local councils of the state. Though President Muhammadu Buhari had earlier directed the National Emergency Management Agency (NEMA), to immediately mobilise personnel and resources to come to the aid of the victims of the flooding, the efforts have been unsatisfactory, as much of the assistance so far has been through individual and corporate efforts. To assuage the pains of those affected, Strap and Safe Child foundation is taking donations through their website and agents. Also, Wanda Adu foundation is deploying mobile kitchens to feed hundreds, and will provide clean up kits to those affected by the floods.